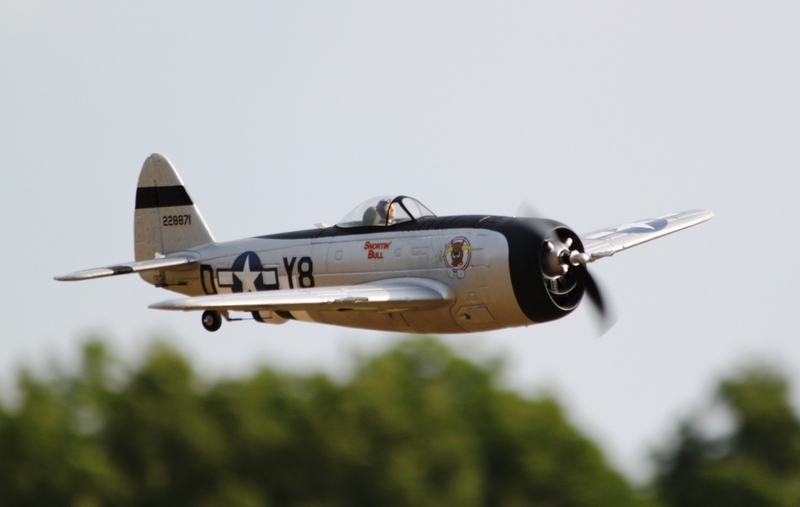 Welcome to the 2012 Warbird Fly In First of all, Thank You to all who participated in our 2012 5th Annual Warbird Fly In. 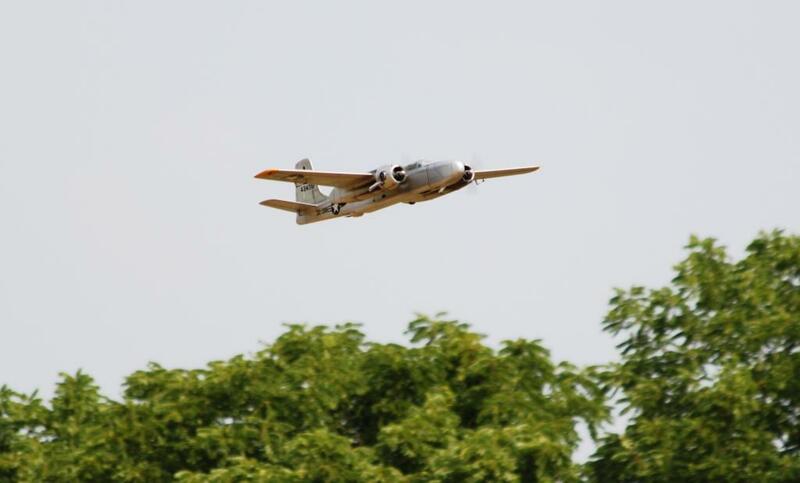 We had guests bring some really nice airplanes. 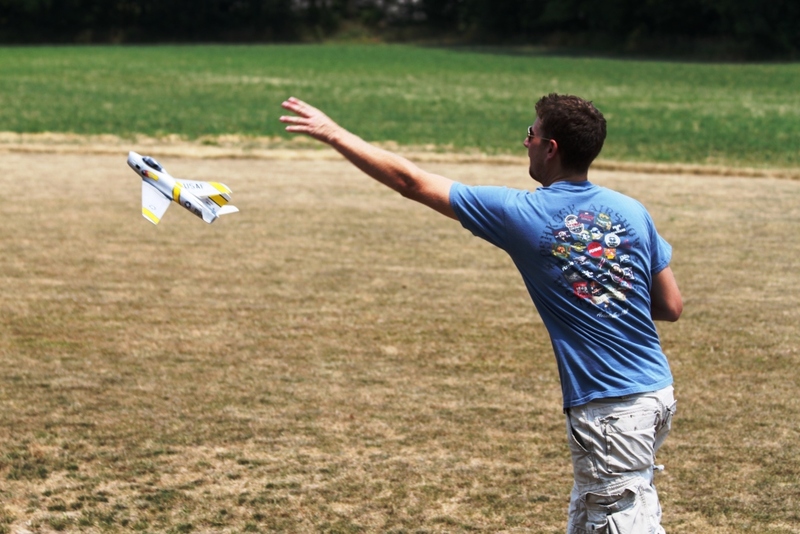 Despite the very warm temperatures and high humidity, we had lots of flying and fellowship. 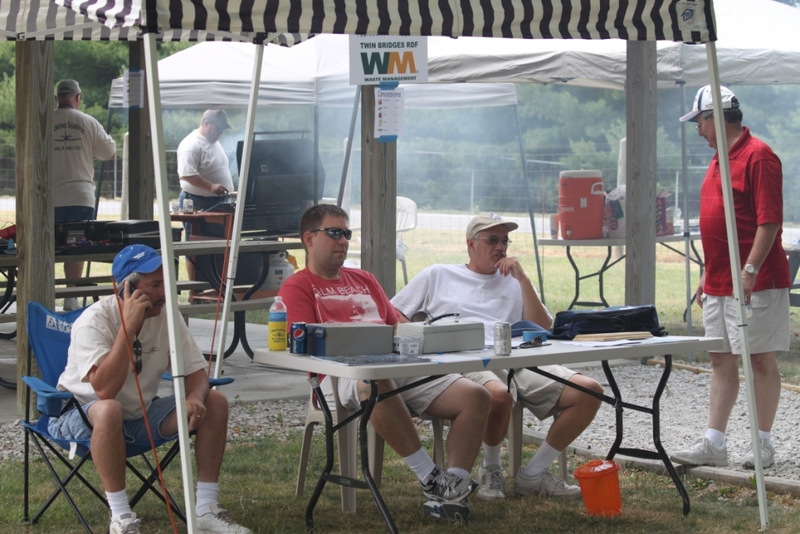 Special thanks to John, Tom, Wild Bill, Matt and Bryan for manning the registration and raffle tickets. And to Jay and Dave for the grill. We had lots of cold drinks to keep everyone cool and everyone received a neoprene Blacksheep koozie, and thank goodness for our shade. 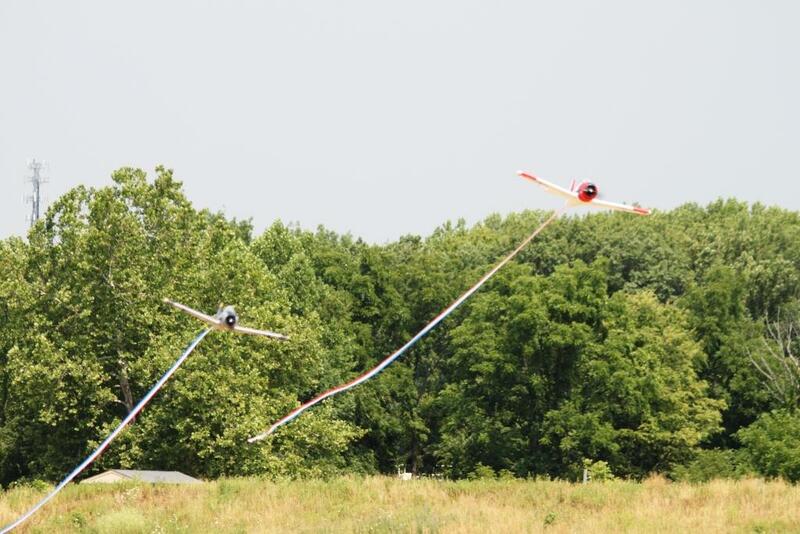 We awarded the Pilot's Choice and People's Choice and drew for the raffle prizes about 1:30 pm to give everyone a chance to get out of the heat if they wanted. 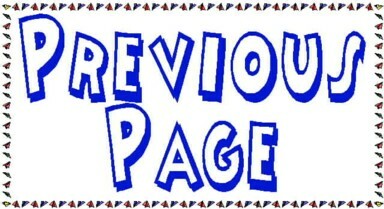 Had several stay and enjoy our field after all the drawings. 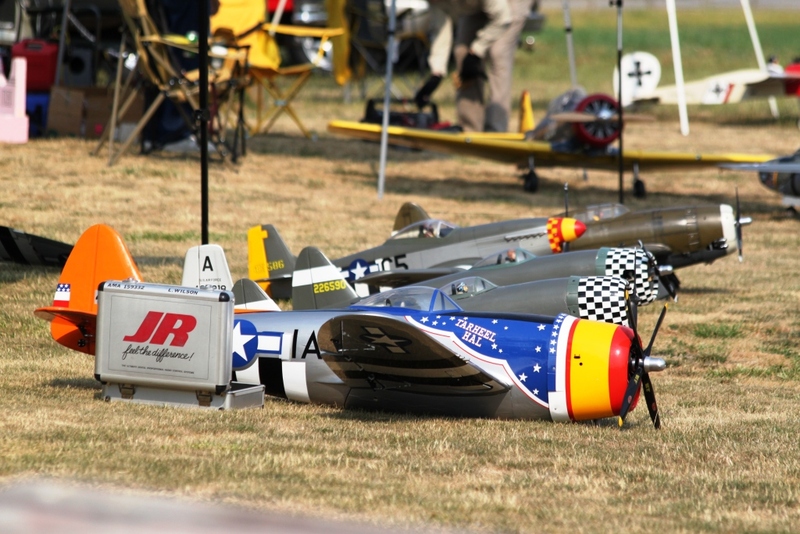 Also, thanks to Bill and Annie Scott at the two Hobbytown USA's, Rolls-Royce Heritage Trust Allison Branch and Hall Aviation for their support of our event. 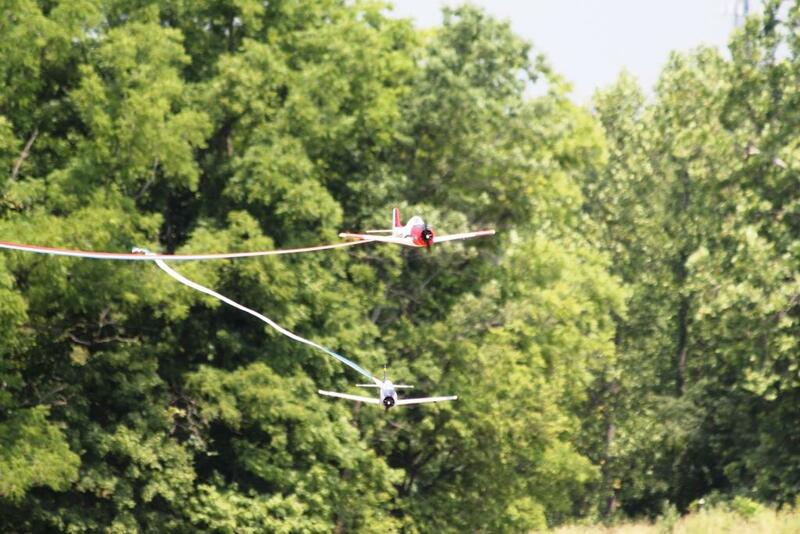 The voting for Pilot's Choice and People's Choice were very close with a lot of very nice planes and nice flying too. 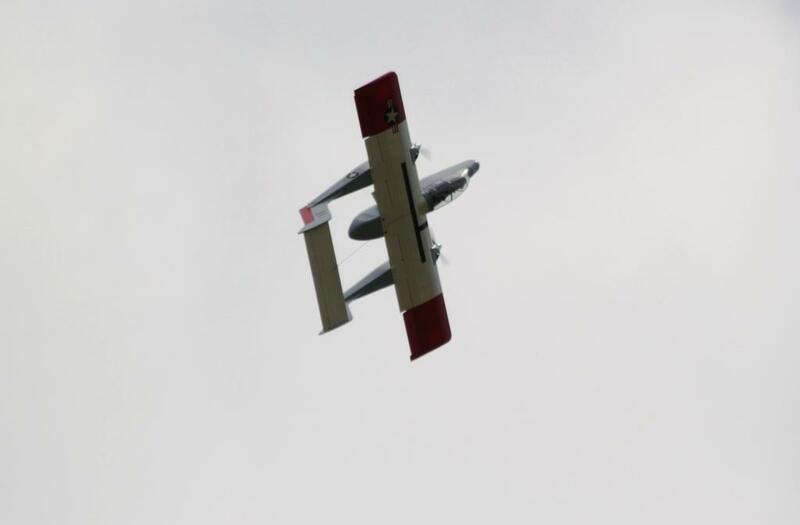 Pilot's Choice went to John Hudak's OV-10 Bronco. Here are a few pictures taken during the day, please excuse the quality as the humidly and haziness made picture taking not near as good as a crisp blue sky day. 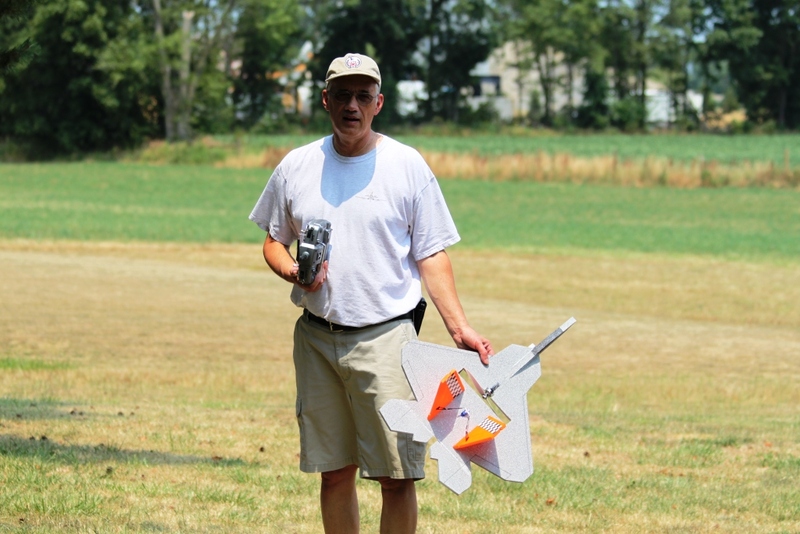 Don Schmedake with his F-22 foamie warbird. 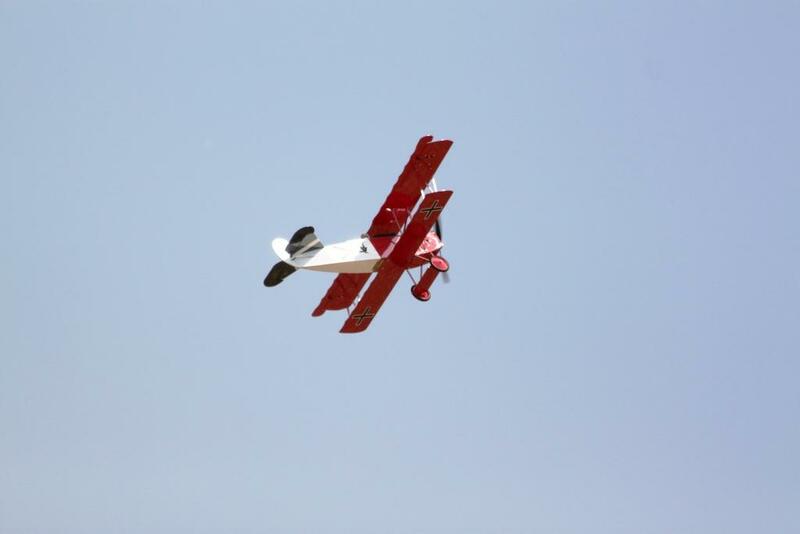 Jerry Morgan with his Maxford Hobbies L-4 Cub in New Mexico National Guard colors. 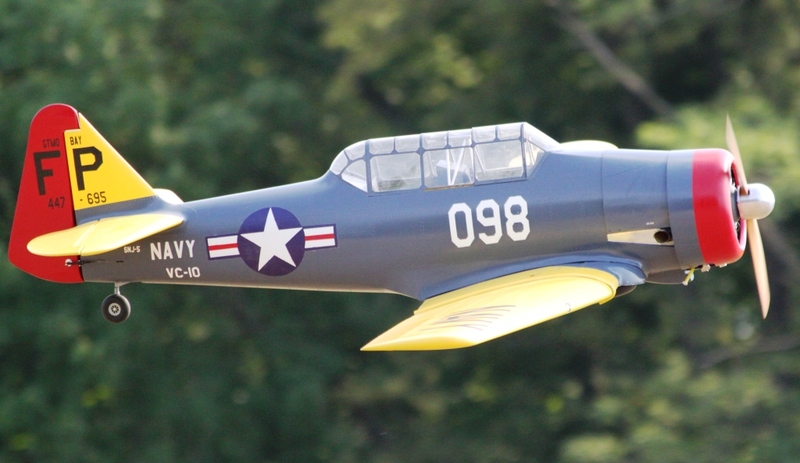 Bryan Baumer's E-Flite P-47, a very popular plane right now. 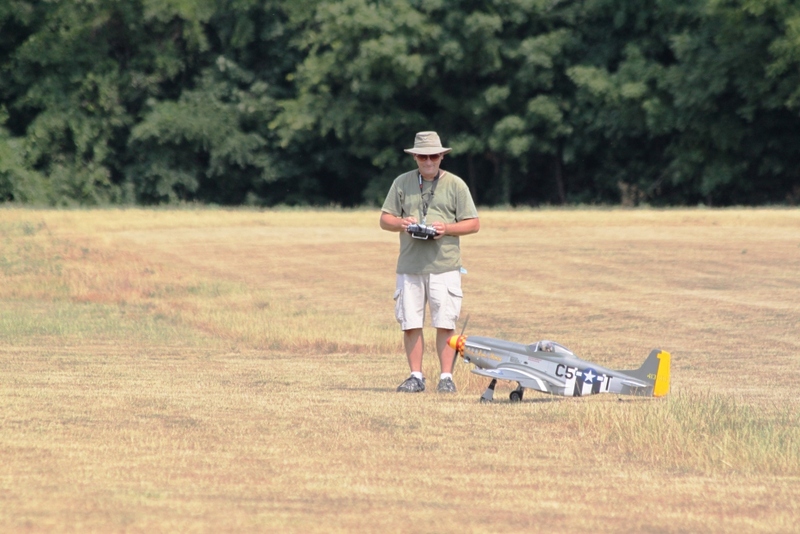 Chuck Baker from the Southside club, getting ready to taxi out his E-Flite P-47. Chuck brought a whole fleet of aircraft. 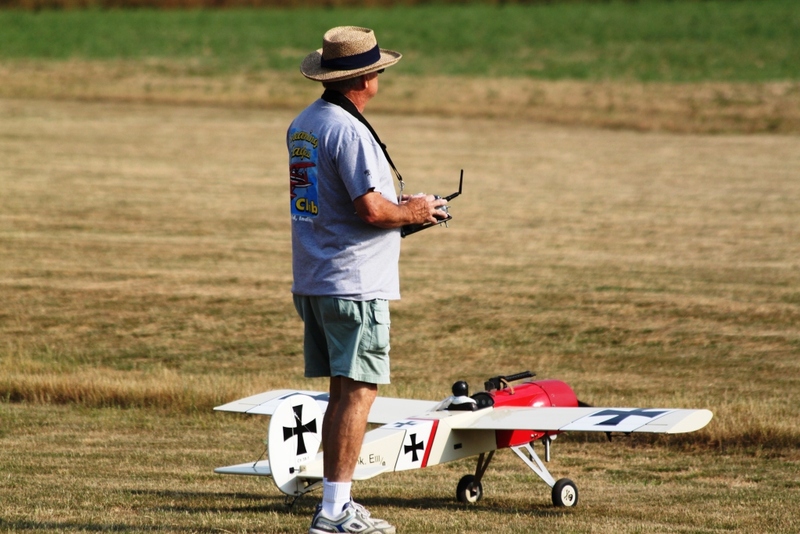 Bob Grove's with his Eindecker Stick, very warbird like and flies well. 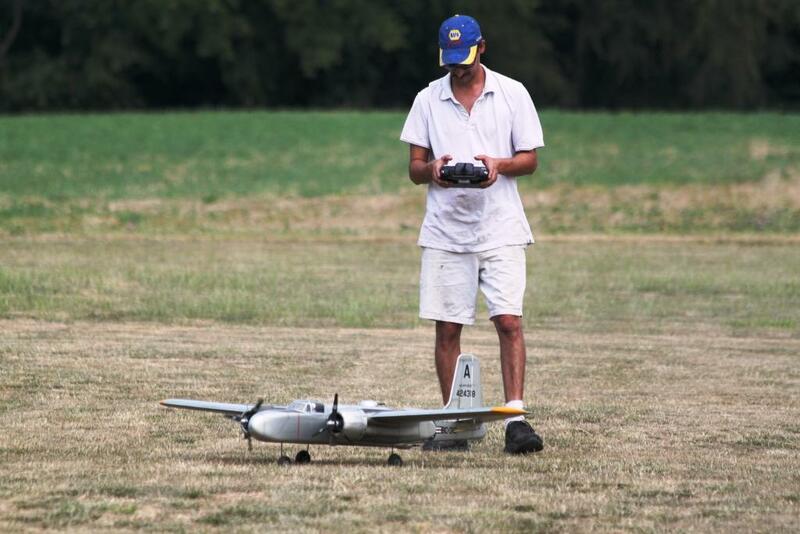 Erik Munevar with his Nitro Planes A-1 Skyraider. Erik was surprised he was able to take off our asphalt like grass today. Jugs, did someone say Jug's? A bunch a different sized P-47 Thundrbolts and a Mustang. Col. Dave Miller's Hangar 9 P-47 in taking off. 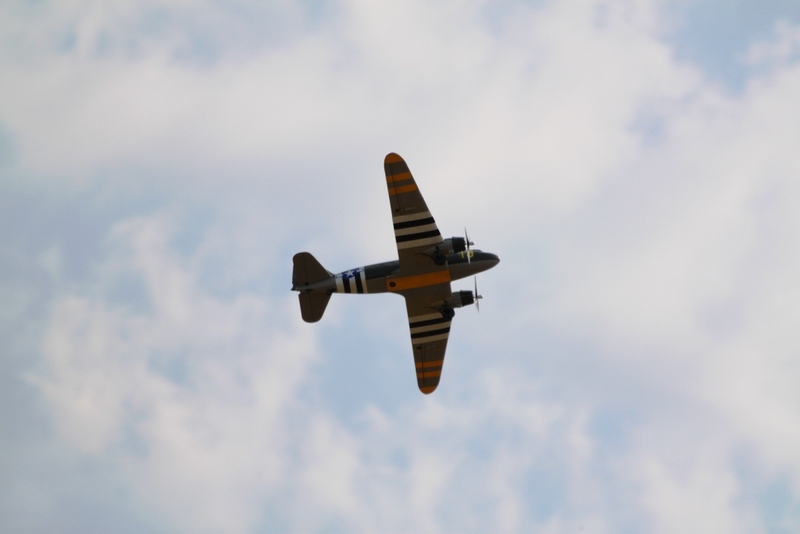 Jay Thomas's twin C47, flies well. 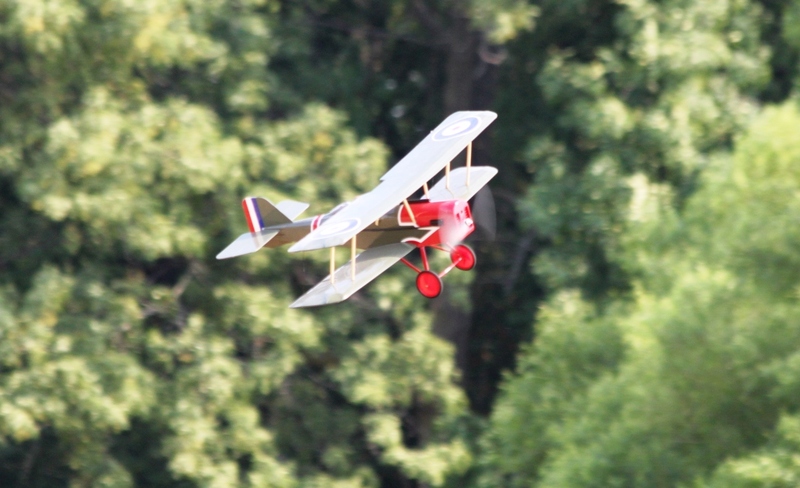 Another of Chuck Baker's fleet, an Electrify Sopwith Camel. 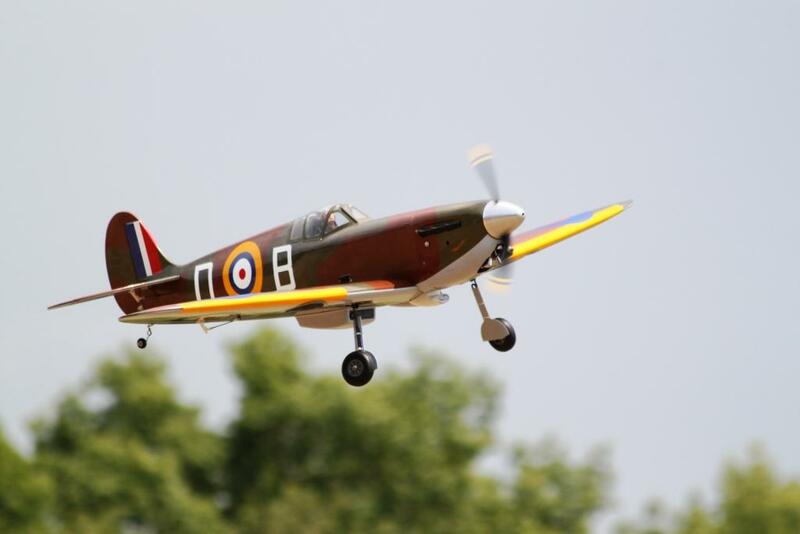 David Gulliver's SNJ, another very nice plane. Bryan Baumer's Hangar 9 Fokker DVII. The registration guys, Wild Bill Clontz, Matt Shelton, John Louden and Tom Carlyle. 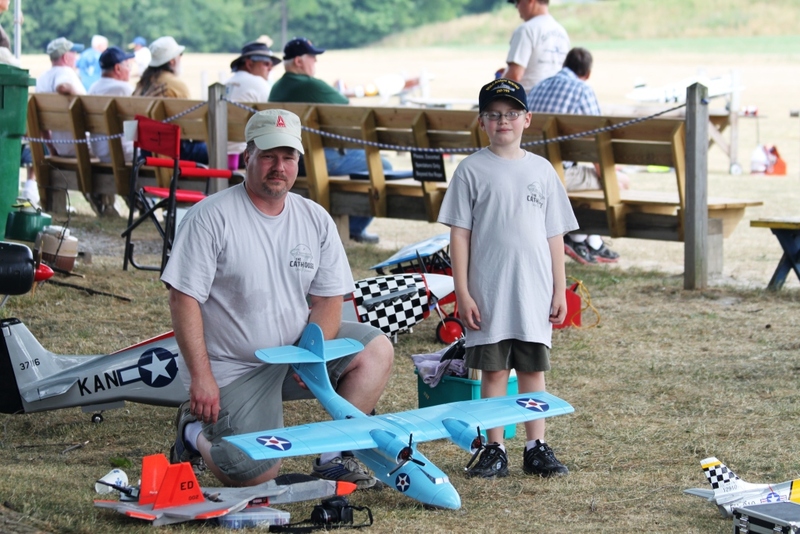 Joe and Luke Miller with his twin electric PBY. 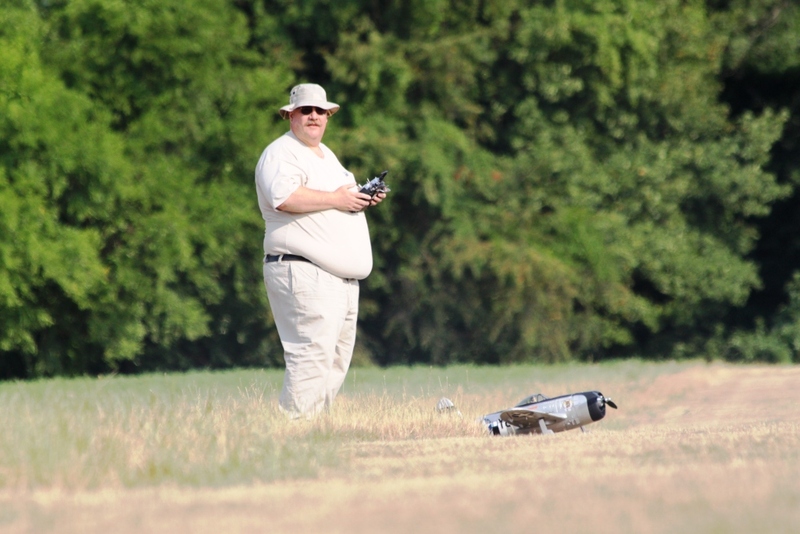 Flown off the dry grass rather easy. 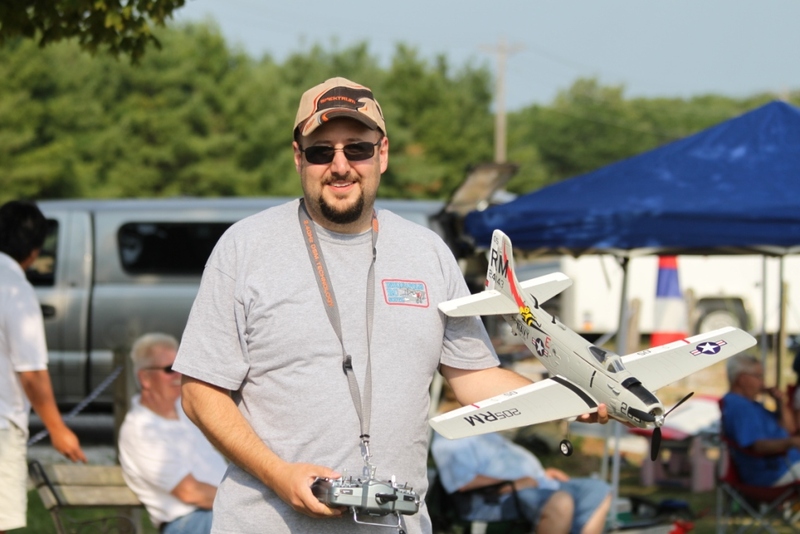 John Hudak with his Top Flight 60 sized P-51 Mustang. 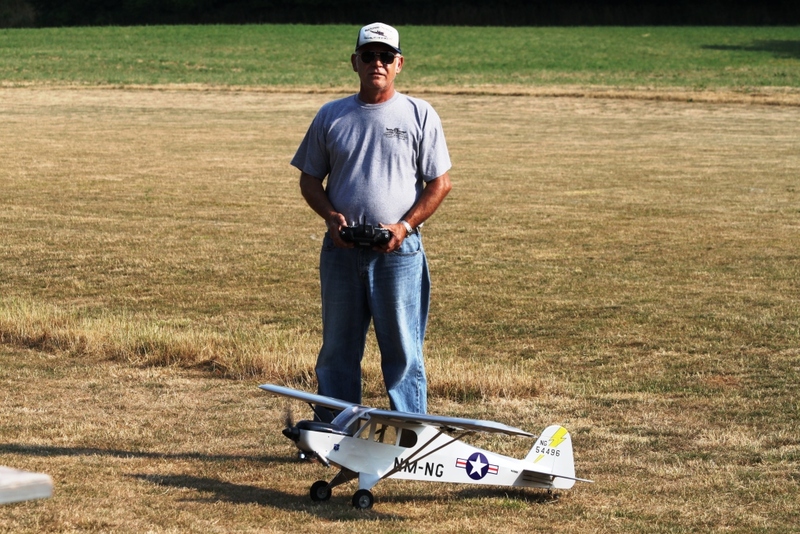 John also brought a fleet of planes with him. 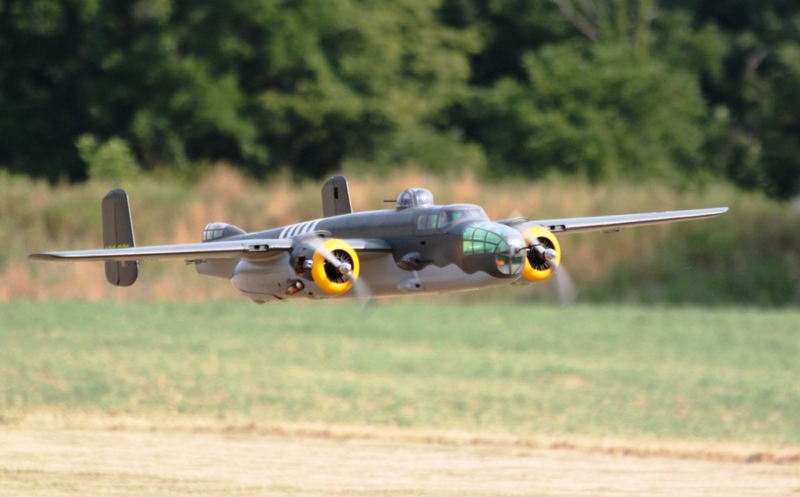 Jeramy Ballman A-26. Twins sound oh so cool. Taxiing in after a very nice flight. A gorgeous P-47 being readied for flight. 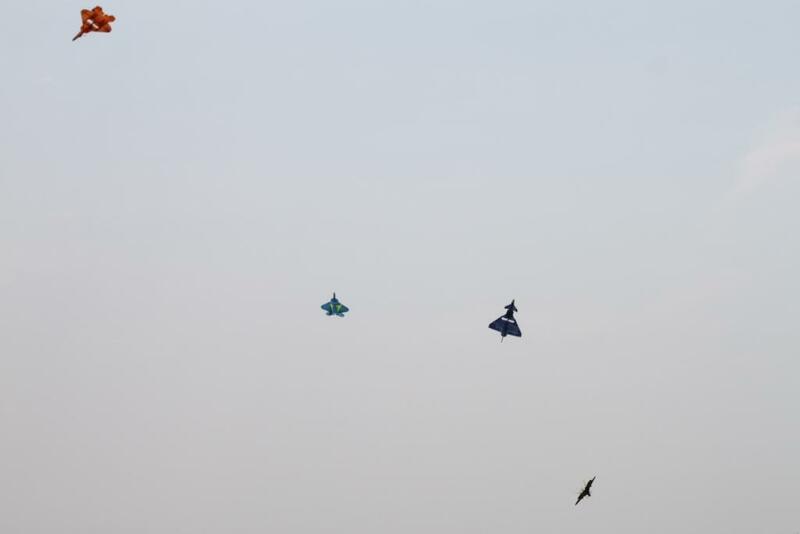 F-22 foamie and a Eurofighter, going at it at the east end, there were seven in a mass launch. 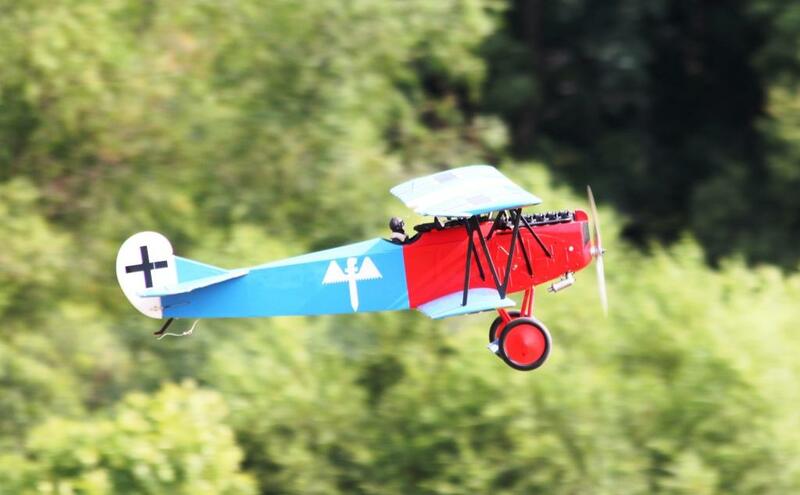 Chuck Baker's Electrifly Fokker DVII, told you he brought a bunch. Or was it really a little combat going on! Mika's is the Navy trainer scheme and Mark's is the camo gray. There was contact by the way. 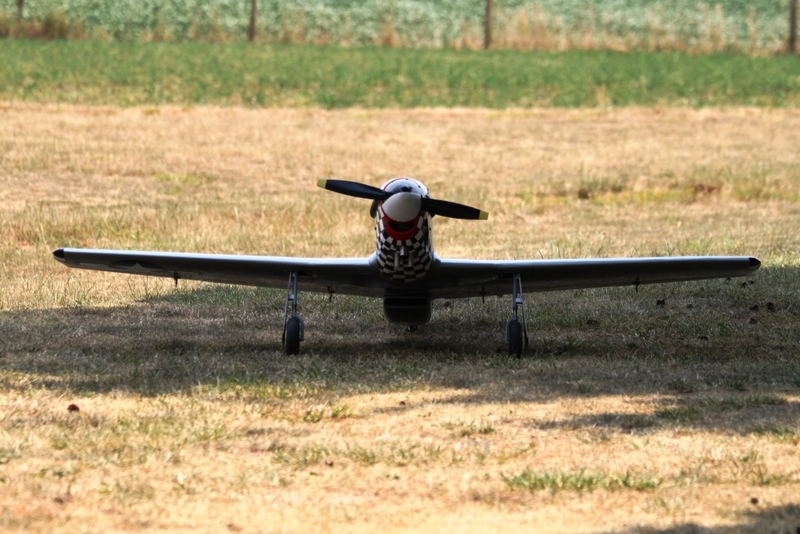 Joe Kosiba's Hangar 9 Spitfire, powered by a Saito 1.00 four stroke. 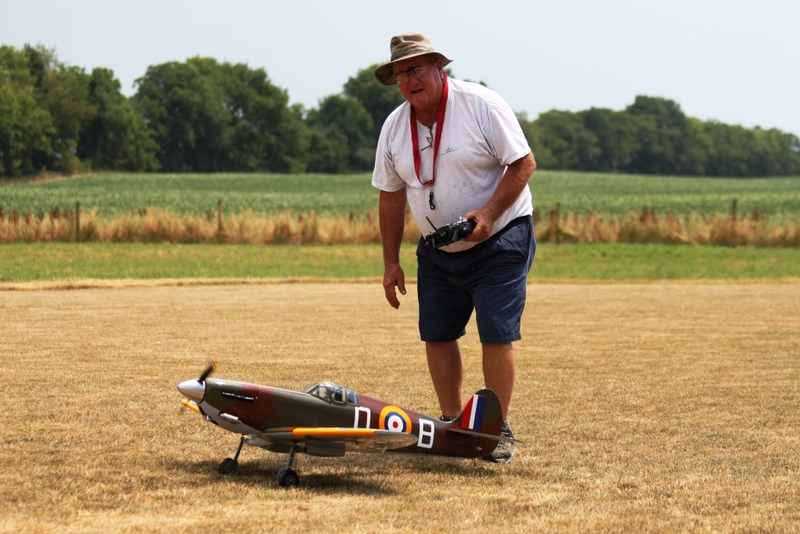 Joe after another successful flight, Spitfire looks good in the air. 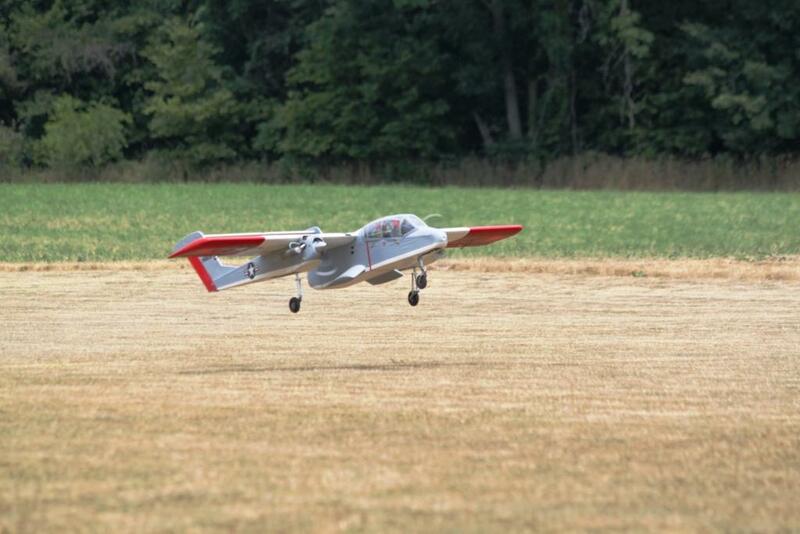 John Hudak with his Pilot's Choice OV-10 Bronco rolling. 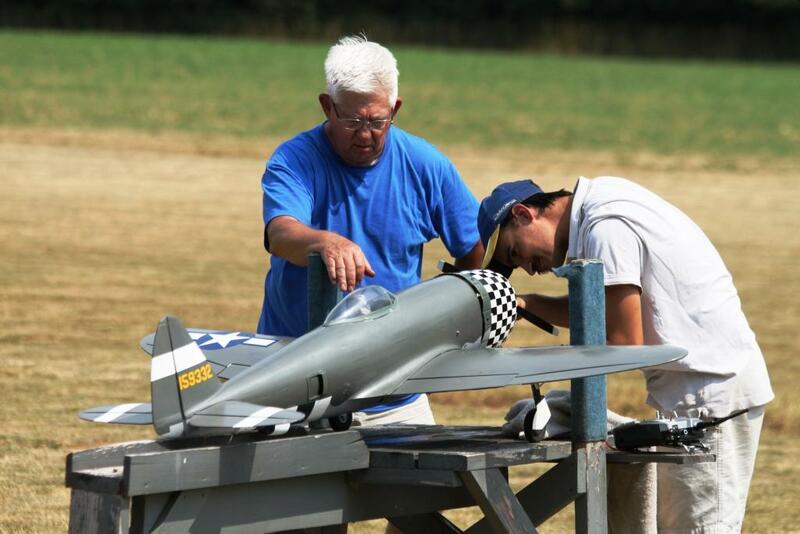 Ralph McBee launching Blake's mini F-86 Sabrejet. Quite a sight doing touch and goes on the tanks. 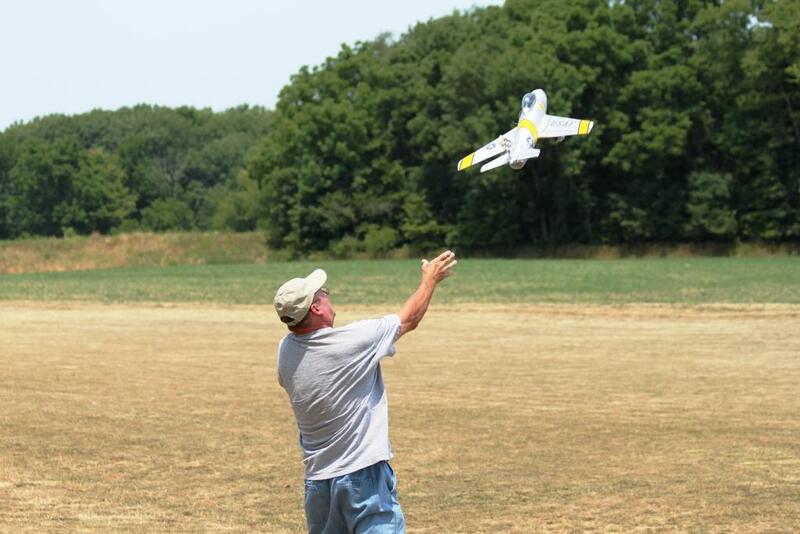 Parker Hall launching his Great Planes micro F-86, really flies well. 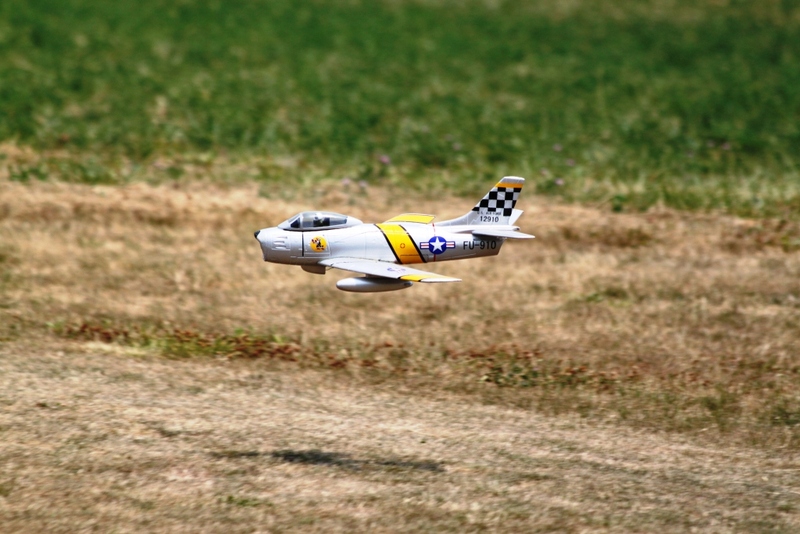 Blake's F-86 setting up for one of those low pass / touch n goes. 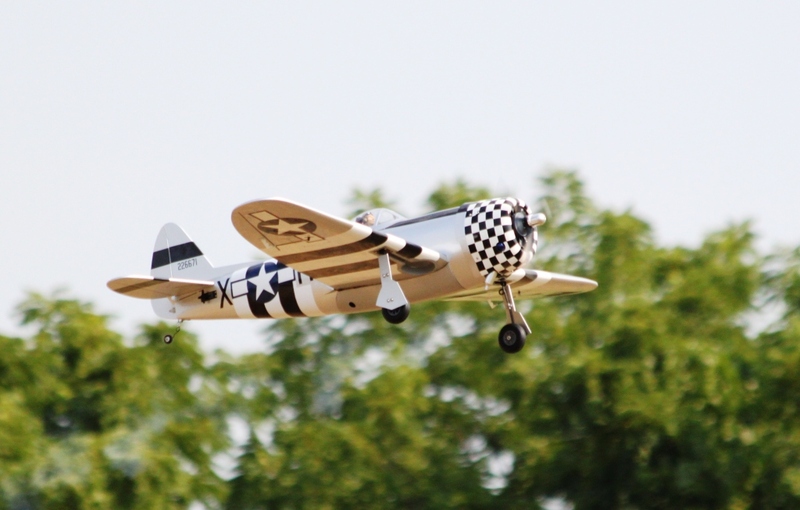 Rege Hall's Top Flight 1/5th scale P-51 Mustang in Kansas Air National Guard colors. 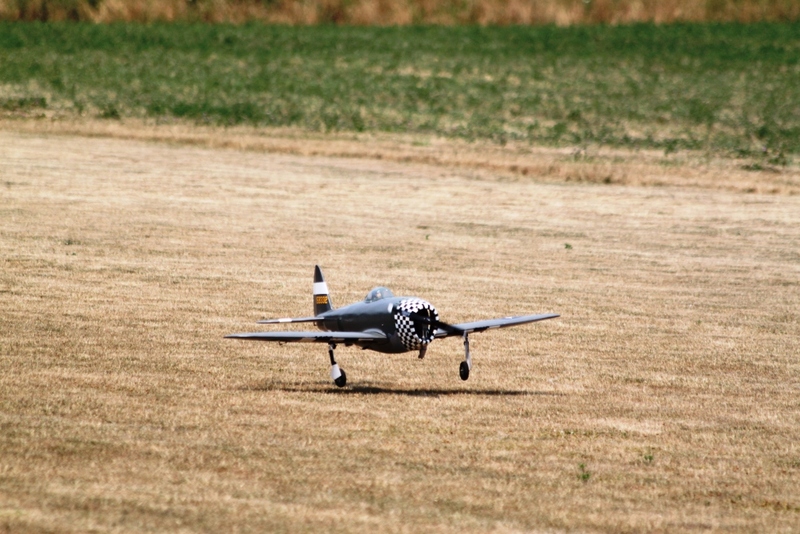 Another Hangar 9 P-47 Thunderbolt coming in for a landing. I think Larry Wilson's. 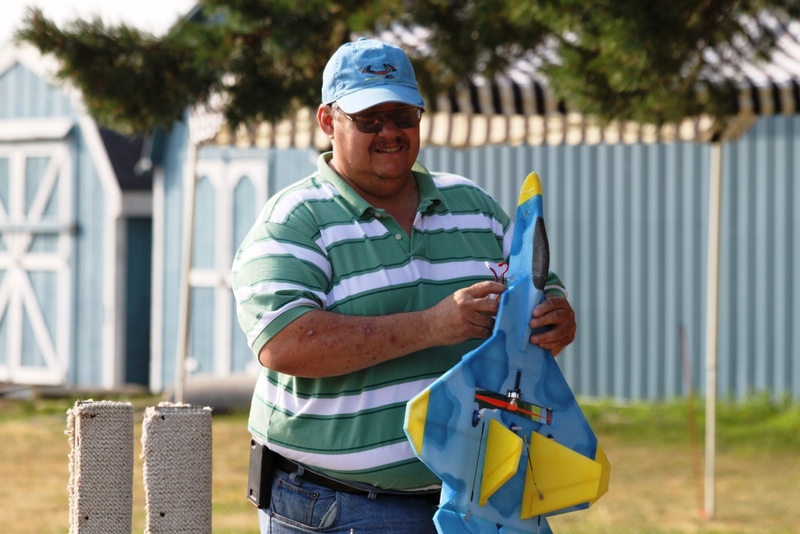 John Louden, proud winner of a Hall Aviation F-22 flat foamie.